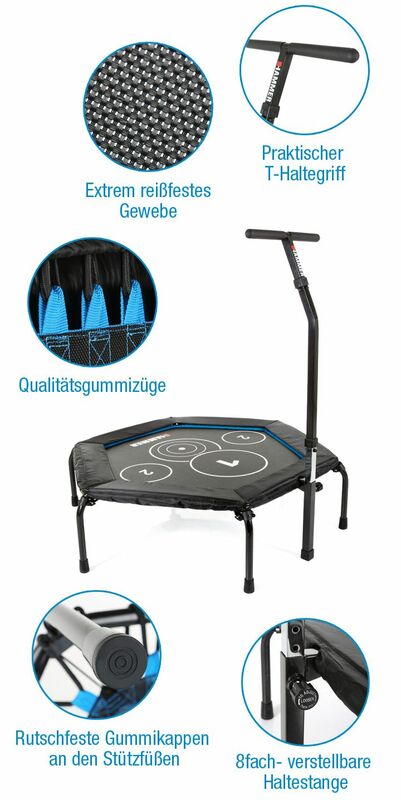 Our assembly instructions explain how you can assemble your mini trampoline within 20 minutes. Quick and easy, step-by-step. 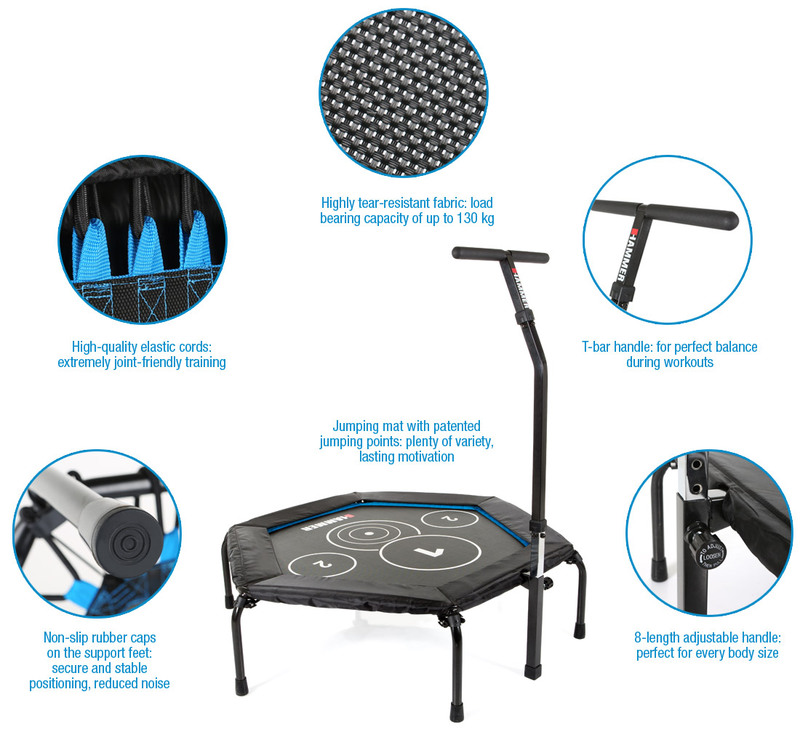 Once the trampoline is fully assembled, you are ready to start your workout! 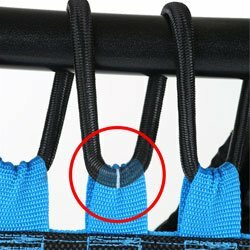 Secure the plastic cover using the elastic cords in the six corners. Thread the elastic cords through the loops provided. Use the white markings as a guide to show you how far the elastic cords should stretch. Put the protective cover on and pull it over the corners. 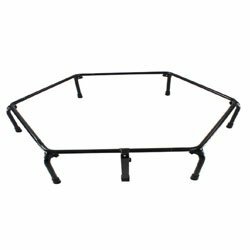 Fasten the T-bar on the mini trampoline. 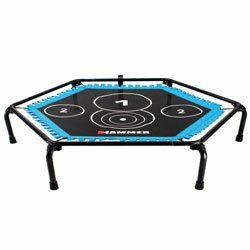 The mini trampoline is ready to go! A Cross Jump workout is suitable for everyone! 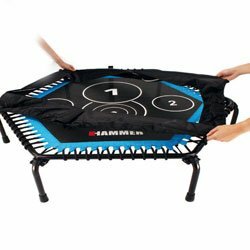 Whatever your weight, age or ability – trampolining is easy on the joints and lots of fun. 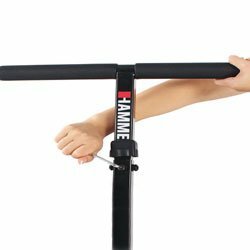 Which muscle groups does it use? Jumping points (pat.) 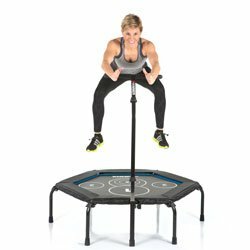 allow for countless moves, so your mini trampoline workout never gets boring.